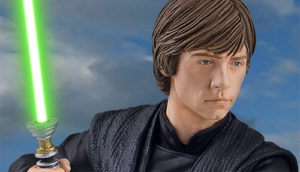 Rebelscum has posted the exclusive reveal of Gentle Giant’s SDCC Exclusive Luke Skywalker (Jedi Knight) Mini Bust. 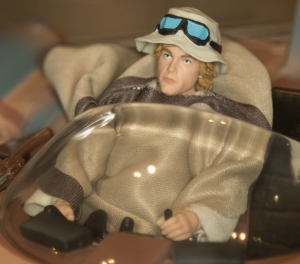 Limited to 1000 pieces, it will be available at SDCC, and also to PG members starting today. Head on over to Rebelscum for details. 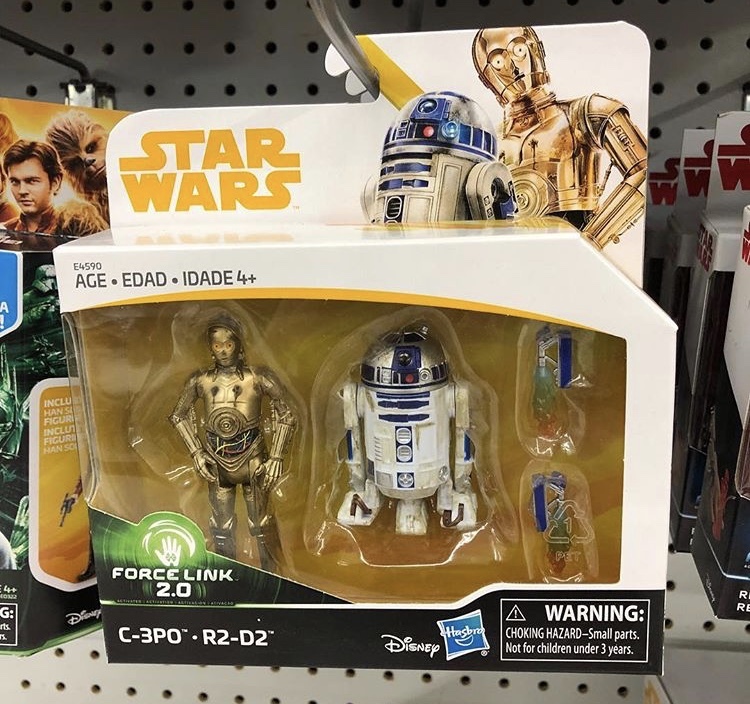 Hot on the heels of the minifigure leak from earlier today, Rebelscum has posted the first look at six sets from Solo: A Star Wars Story and as suspected, it uses the graphics that leaked out from Russian sources. Head on over for a closer look. 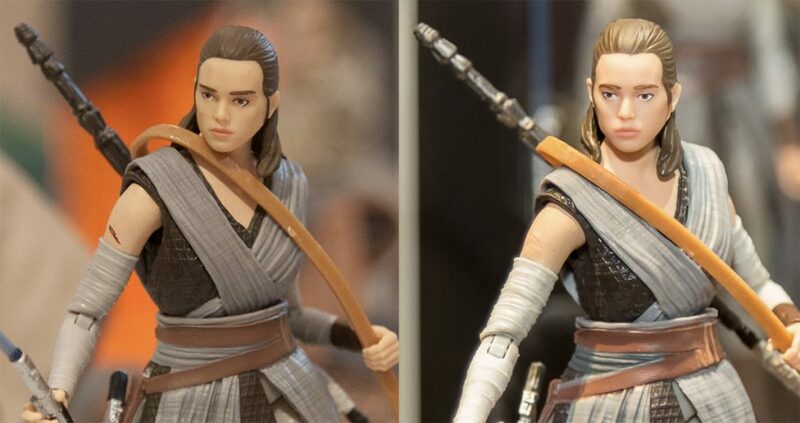 While reviewing some of the new images in Rebelscum’s SDCC coverage, I noticed what looks like a possible painted “flesh wound” on one of the SDCC samples for Rey. As you can see above, the one on the left (shown today at the Hasbro Breakfast) has a bloody slice/scratch on the right arm, but the figure on the right from the show floor doesn’t – yet there looks to be a sculpted “deformity” sans blood. What do you think – battle-damage or a simple errant paint job? A variant between the SDCC release and the retail version? Rumor Report: Interactive Plans for The Last Jedi Figures? Rebelscum has posted a rumor regarding possible features/interactivity built into the new Hasbro figures for The Last Jedi. If you’re old enough to remember CommTech chips, the “Force Link Bracelet” sounds a bit familiar. Head on over to Rebelscum for the details. UPDATE: After some independent research, it looks like the vehicles will also be compatible with this “Force Link” technology. 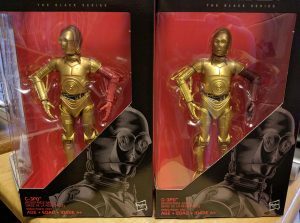 It was something we mentioned in our initial review of this figure and now it looks like Hasbro has addressed the oversight as they have issued a variant to the 6″ Black Series C-3PO (Resistance Base) figure. Instead of the cheap looking plain red arm, they have now given it a proper, screen accurate deco. I’ll definitely be picking this version up. 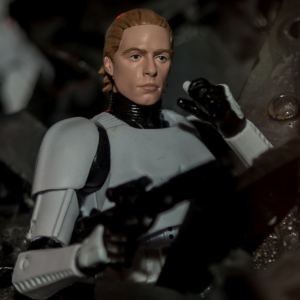 Thanks to Rebelscum for their report. 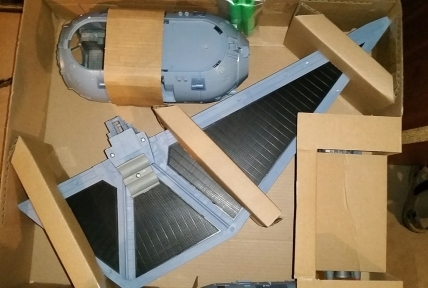 Rebelscum forum member Nighthawk has posted some photos that reveal more of what we can expect with Hasbro’s new TIE Striker. It appears the NERF features are removable, which should bring a collective sigh of relief to many buyers. And it looks like the wings may be comprised of a sturdier plastic than we saw with the TFA TIE Fighters. 5POA aside, maybe things are looking better for the actual quality of toys coming this Fall? Check out more pics as he continues to update with more details by clicking here.